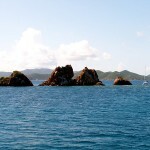 The Indians archipelago is easy to spot, the four pinnacles that rise menacing from the water, next to Norman Island and on one of the best snorkeling and diving spots in the BVI, full of colorful fish and corals. On the east side, near Pelican Island, the water is very shallow and you have to be very careful to avoid corals. Here you can also find a cave that is home to glassy sweepers, nocturnal schooling fish that decided to call this rock their home. 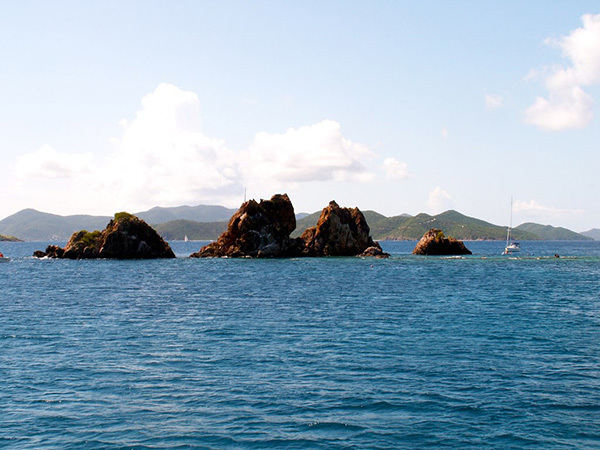 If you want to experience deeper waters, half a mile north of Norman Island is the perfect diving spot. Corals and gorgonians paint the rocky formations and they look stunning when caught on camera. The deep, crystal blue waters are perfect for snorkeling. If you like it less crowded or want to make sure you actually find a mooring spot – there are only around 10 available – come before noon. You will have the opportunity to swim along blue chromis, creole wrasse, angel fish, jelly fish, rock beauties, black triggerfish and countless other colorful fish and marine wildlife. The Indians seem to have everything, shallow and deep water, colorful fish schools, bright corals, flowing plants, all of this making it one of the best snorkeling sites.